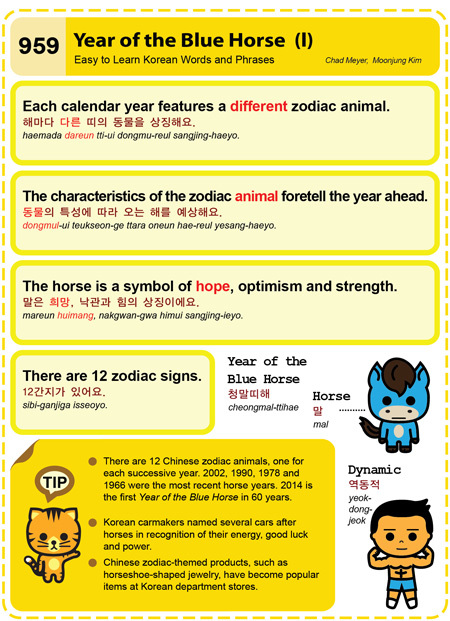 This entry was posted in Series and tagged 12간지가 있어요., 2014, Animal, calendar, car makers, characterisitic, Chinese zodiac, department store, dynamic, fortell, hope, horse, horseshoe-shaped products, optimism, strength, Year of the Blue Horse, 낙관과 힘의 상징이에요., 동물의 특성에 따라 오는 해를 예상해요., 말, 말은 희망, 역동적, 청말띠해, 해마다 다른 띠의 동물을 상징해요. by easykorean. Bookmark the permalink.